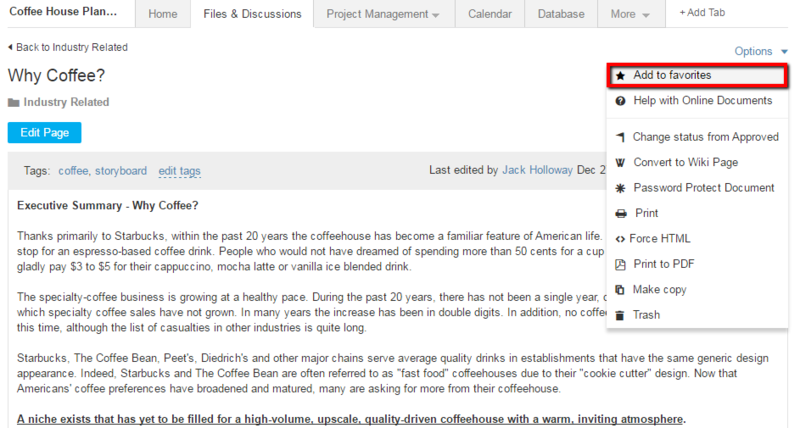 Mark files, online documents, wikis, and more as Favorites for easy access from the top navigation bar. All of your Favorites can be viewed at anytime from the Favorites menu. To access your Favorites, navigate to the user drop down menu and click on Favorites. When you want to add a page to your Favorites click on Options>Add to Favorites. This page can now be accessed from the Favorites menu anytime you are logged in. 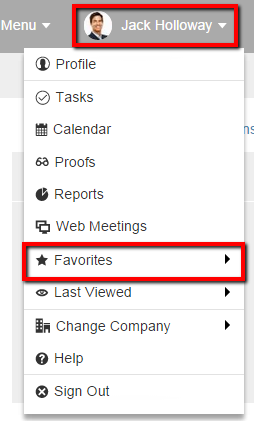 When you want to remove a page from the favorites, go to the item and click on Options>Remove from favorites.